Just how big are cells? Click this link to see! What do plant and animal cells look like? All living things carry out life processes. These include nutrition, respiration, transport, excretion, regulation, and growth. All living things are composed of basic units called cells. Planet cells and animal cells have common structures and functions. Structures they have in common include the nucleus, cytoplasm, and cell membrane. Cells carry out life processes. Cells are the basic units of all living things. 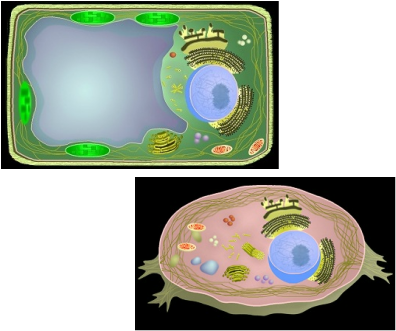 Plant cells have cell walls and chloroplasts, which are not found in animal cells. Plant cells manufacture their own food by a process called photosynthesis. Animals take in nutrients for energy and growth. Life Science Standard 2. Recognize that all organisms are composed of cells, and that many organisms are single-celled (unicellular), e.g., bacteria, yeast. In these single-celled organisms, one cell must carry out all of the basic functions of life. Life Science Standard 3. 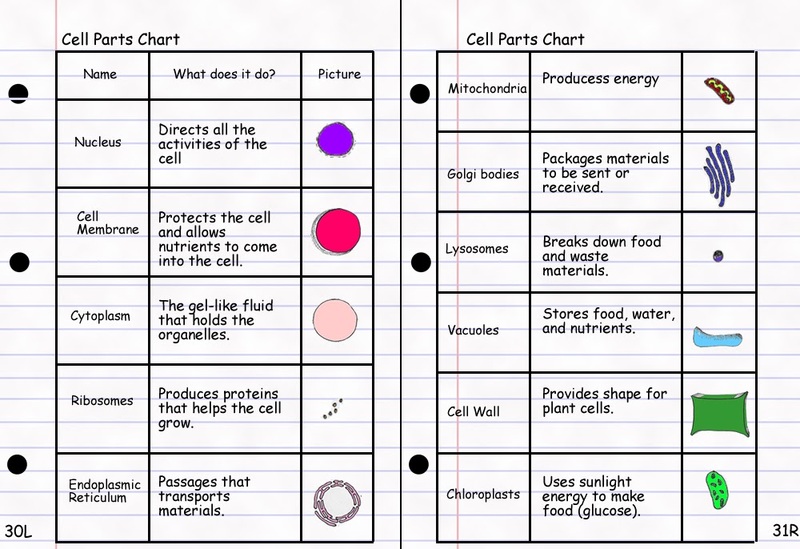 Compare and contrast plant and animal cells, including major organelles (cell membrane, cell wall, nucleus, cytoplasm, chloroplasts, mitochondria, vacuoles). Life Science Standard 4. Recognize that within cells, many of the basic functions of organisms (e.g., extracting energy from food and getting rid of waste) are carried out. The way in which cells function is similar in all living organisms. Life Science Standard 9. Compare sexual reproduction (offspring inherit half of their genes from each parent) with asexual reproduction (offspring is an identical copy of the parent’s cell). Life Science Standard 16. Recognize that producers (plants that contain chlorophyll) use the energy from sunlight to make sugars from carbon dioxide and water through a process called photosynthesis. This food can be used immediately, stored for later use, or used by other organisms.